Pity the poor tank. 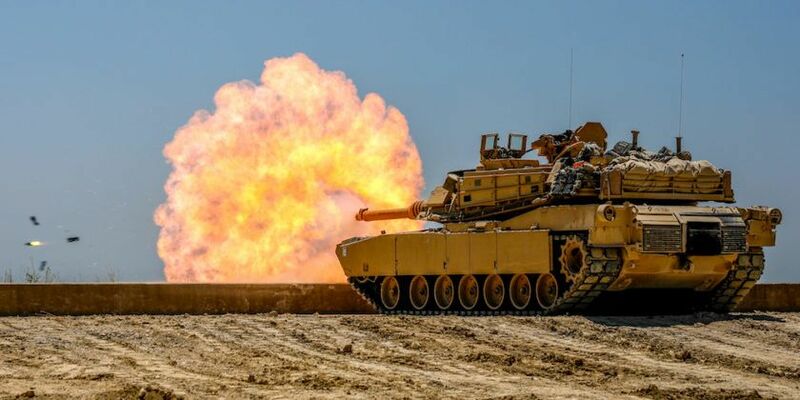 As if armored fighting vehicles didn't have enough problems, from missiles and rockets to IEDs lurking in the dirt. Now they are going to be hunted by anti-tank robots. A prototype variant of the Titan unmanned ground vehicle, or UGV, mounts a Javelin anti-tank missile as well as a .50-caliber machine gun. Estonian firm Milrem Robotics makes the Titan—a sort of jack-of-all-trades mechanical mule. It's a 1.6-ton, 8-foot-long tracked robot that stands four feet tall, travels at twelve miles per hour, and can haul about a ton of cargo. The Titan can be fitted with various modules for tasks such as IED clearance, casualty evacuation, and hauling cargo. The U.S. Army is now evaluating it to haul the equipment of an infantry squad. Meanwhile, Norwegian defense firm Kongsberg makes the Protector remote weapons station, typically mounted on vehicles to enable the crew to fire external weapons, such as turret-mounted machine guns, while remaining inside the protection of the vehicle. The U.S. military already uses about 15,000 of Kongsberg's Common Remotely Operated Weapon Station (CROWS) systems on vehicles such as the Humvee and Stryker. So why not put a remote-controlled weapon mount on a remote-controlled robot? Hunting tanks isn't the safest of pastimes, so let a robot do it while the human operator stays safely out of the line of fire. Milrem and Kongsberg recently conducted a live-fire demonstration near Kongsberg's Norwegian headquarters. “Further testing and demonstrations, including Javelin firing, are planned for the near future,” according to a Milrem press release. But Väärsi’s assurance isn't likely to soothe those who fear that armed robots are a Pandora's box that will bite their makers, especially as advanced AI enables machines to function more and more autonomously. 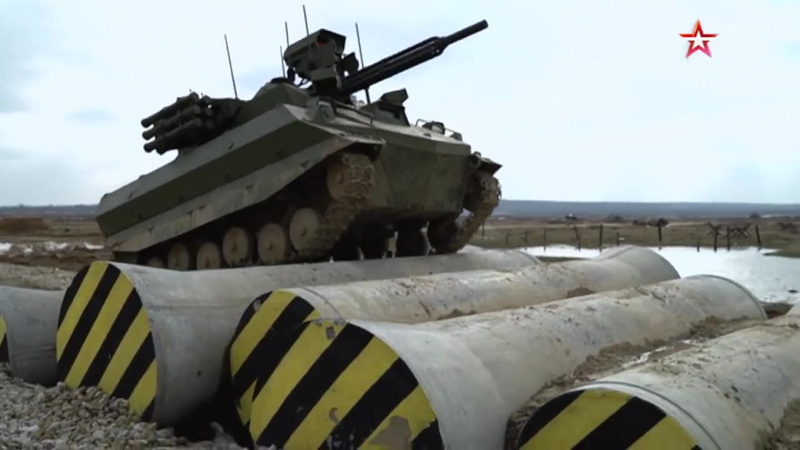 Israel and South Korea already have armed robots patrolling their borders, while Russia has tested its Uran-9—a mini-tank armed with a 30-millimeter cannon—in Syria. Even the United States is getting into the armed robot game as it develops kits that can transform a normal vehicle into an autonomous one. The U.S. Army already has an armed M113 armored personnel carrier as a remote-controlled test vehicle. That the Milrem/Kongsberg tank-hunter has a missile launcher instead of a small cannon, like earlier robots, is just a matter of degree. What is interesting is the potential for swarms of small robot vehicles, armed with anti-tank weapons, to overwhelm a smaller number of manned tanks. There are still many hurdles before this becomes reality, such as situational awareness of the human operators, or what happens if the datalink between robot and operator goes down or is jammed (unless anti-tank robots become autonomous, which raises its own issues). But in robot tank versus human-controlled tank, the laws of economics are on the side of the robots. Autonomous Weapons: The Ultimate Military Game Changer?